The 2018 Vuelta a Espana will commence on the 25th August and will be the 73rd edition of the cycling event. This race is one of three Grand Tour races and will be the final Grand Tour of the 2018 calendar. The other two races which make up to the Grand Tour are the Giro d’Italia and the Tour de France. The 2018 Vuelta a Espana will end on the 16th September in Madrid, having started in Malaga. The total distance of the race will be 3,271.4 kilometres and will be contested over 21 different stages. There will be two individual time trials, four flat stages, three intermediate stages, six hilly stages and six mountain stages in addition to two rest days. Continue reading for our Vuelta a Espana predictions and odds. This race is the final opportunity for the big names of the UCI World Tour to win a Grand Tour event this year. Chris Froome is the defending champion having won the 2017 Vuelta a Espana and the British cyclist also claimed the Tour de France in the same year. Froome added the 2018 Giro d’Italia to his list of titles but it is not likely he will race in the Vuelta a Espana this year. Featuring prominently in the 2018 Vuelta a Espana betting odds are Richie Porte at 9/4, 2017 runner-up Vincenzo Nibali at 28/1, Alejandro Valverde at 9/1, Simon Yates at 11/4, Nairo Quintana at 8/1, Fabio Aru at 18/1 and Miguel Angel Lopez at 10/1. However, much will depend on the fitness of the racers following the Tour de France and not every rider is guaranteed to participate in the Vuelta a Espana. 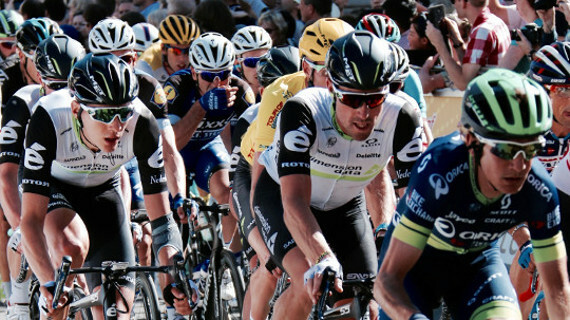 Geraint Thomas is unlikely to participate following his Tour de France success so follow our Vuelta a Espana odds page to keep updated and read on for our Vuelta a Espana betting tips. The 2018 Vuelta a Espana is likely to be another tough race, with an opening time trial, nine summit finishes and a 32.7 kilometre race against the clock in the third week. There will be only one stage over 200 kilometres during the race. Richie Porte comes in as the bookmakers favourite priced at 9/4 with Bet365 but has been battling back from injury. The Australian has been labelled the unluckiest man in cycling following illness and a puncture in previous Grand Tour events. This year, disaster struck in the Tour de France when Porte was involved in a pile-up on stage nine and it put pay to his chances of winning the event. Porte is coming back from injury and may struggle to recover fully for this race. Register and bet at William Hill! That opens the door for Simon Yates, who performed well in the Tour de France and has looked good all year. The British cyclist stated his belief he could win a Grand Tour event following the three stages he won in the Giro d’Italia and can be backed to make his statement come true at 11/4 with Bet365. However, in terms of value Vuelta a Espana betting tips, it is difficult to ignore Nairo Quintana at 8/1 with Bet365. The 28 year old Colombian won the event in 2016, claimed a stage at the Tour de France and is a very good rider over the climbs. Sign up for a free account with JohnnyBet and enjoy all the build up to the Vuelta a Espana. We will have the latest Vuelta a Espana odds, betting tips and predictions plus you can enter the Tipster League to win fantastic prizes.